It's been a challenging few weeks for those of us who hold an ideology to the left of the political spectrum. I don't know whether I was more astonished to discover that the road to serfdom goes via the Brixton Maoist Centre or that my apparently ethical bank was actually being run by the 'crystal methodist'. I'm only waiting to discover that Shelley was an incestuous just peadophile for my despair to be complete. I would hazard a guess that you shared my frustration after the financial crisis to hear from many economists and their media supporters that the answer to the disaster was not fewer markets but more markets. So I hope you will forgive me if I will paraphrase this response and argue that the answer to the crisis in the co-operative sector is more mutualism not less. 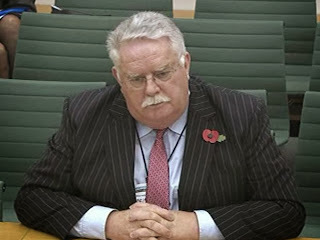 Ed Mayo, Director of Cooperatives-UK has been quoting the Financial Times's comment that the problem with the Co-operative Bank was not that it was a co-operative but that it was a bank. I would take issue with this comment on the basis that the Co-operative Bank a co-operative in the sense in which I understand that term. It was the bank of the Cooperative Group but it was never a membership organisation and I could never influence it policy although I have had my account there for years. As an earlier guest post on this blog demonstrates the bank was following its market competitors by engaging in a whole range of activities that I feel its customers and members would never have sanctions have they been offered a choice. The contrast between the activity of the Co-operative Bank and the Nationwide Building Society, a large but none the less mutual organisation, is instructive. The Nationwide, a genuine mutual which has more than doubled its 'profits' this year, is anxious that it is not tarnished by the problems at the non-co-op Co-operative Bank. For me the principles of co-operation are not challenged by the antics of Mr Flowers. Businesses run by the members for the benefit of the members and that do not deliver services to external shareholders are still the ideal form of economic organisation in my book. I have an account with the Co-operative Bank because it was part of the movement that subscribes to these values; I was always disappointed that it was not a genuine cooperative. The problems for the co-operative movement is that it appears to have lost it sense of purpose and its ethical stance is now under challenge. To save its reputation it needs to divorce itself from those who would influence it, whether market players or Labour Party insiders. We need the cooperative to become truly ours. It is our job to wrest control back from those who would use it in their sectional interest and to make it the truly mutual business sector it has always promised to be. Could you give a little more detail about differences between the Co-operative and Nationwide's policies. I thought members (customers) could influence the Co-operate Bank's investment policies. Also, what do you feel about smaller building societies like Yorkshire?